FIANNA FÁIL HAS called on the government to outline its strategy for securing retroactive recapitalisation of the two main pillar banks, AIB and Bank of Ireland, accusing ministers of not making the case to European leaders. 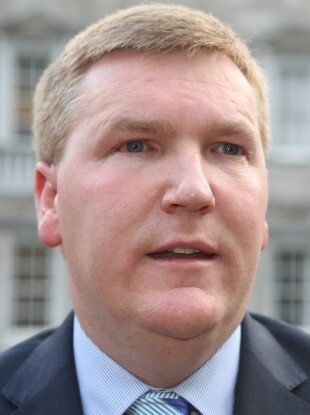 The party’s finance spokesperson Michael McGrath said that the government has not followed up on the 29 June 2012 agreement by EU leaders to break the link between bank and sovereign debt. The government has been pushing for the use of the eurozone’s permanent bailout fund, the ESM, to retrospectively recapitalise its pillar banks, AIB and Bank of Ireland, which received billions of euro in State funding at the height of the financial crisis. McGrath said that “all the indications” since the agreement nearly two years ago are that EU leaders are “resiling” from the commitment, citing comments from the leaders of Germany, the Netherlands and Finland, Jose Manuel Barroso and the ESM’s Klaus Regling. He said that Fianna Fáil “is not hearing anything from government that gives us confidence that there is a clear and coherent strategy”. “We need to know what the strategy is. At the moment we’re really in a vacuum,” he said. Email “'We need to know what the strategy is': FF urges government to push for debt deal”. Feedback on “'We need to know what the strategy is': FF urges government to push for debt deal”.